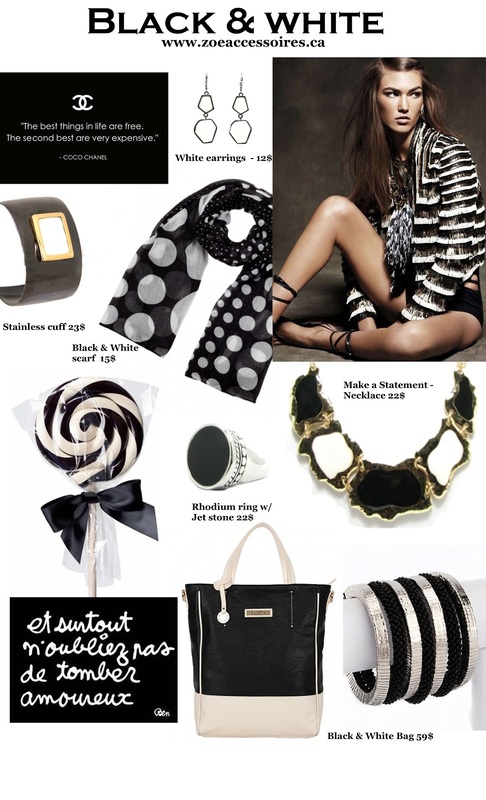 This Spring, there are a variety of trends to look out for including the Black & White theme. It's an easy trend for most of us since we all have either black or white already in our wardrobe. Try adding a black and white polka dotted scarf to a colourful outfit or if you dare with a striped one!! The most important thing is to have fun with your clothes and accessories, of course! !